In fact, most economists agree that the country's "Economic Miracle" in the latter half of the 20th century isn't related to gold. (However, recent scholarship suggests the gold standard may have played a role in Japan's rise to world power status in the late 19th century.) Instead, its economic boom was primarily the result of greater efficiency, Japanese ingenuity, and a reimagining of Western styles of management. Nonetheless, the global mining industry is beginning to take notice of Japan's potential to become a bigger player in gold mining. There's a good reason that the mining sector has, for the most part, ignored Japan for potential opportunities. Until recently, the country has barred foreign firms from mining within its borders. Meanwhile, most of Japan's domestic gold miners shifted operations to industrial metals amid the Second World War and never looked back. The postwar years saw little interest in reviving gold exploration. The industry fell out of favor almost entirely by the 1970s, especially given the emergence of a thriving, modernized industrial economy in Japan by this time. 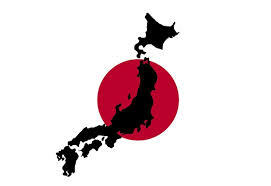 In 2012, the Japanese legislature amended its mining laws to allow foreign miners to do business on the islands. It would take a few years before companies took a serious look at the change, as Mining.com was still noting the possible shift in 2016. Fortunately, the early entrants have found one distinct advantage awaits them. 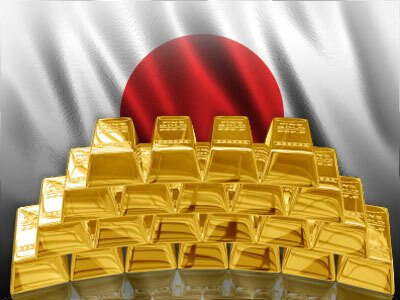 The advantage stems from the fact that those existing gold mines in Japan sat dormant for decades. Many of their underlying deposits are still exceptionally rich with high-grade gold. In other words, they contain more gold content per ton of ore. This is in stark contrast to virtually all of the gold deposits being exploited around the world: Ore richness has been dropping steadily as all of the highest-grade deposits are depleted. On average, even the world's most prolific areas of gold production are only yielding a few grams of pure gold per metric ton of ore being processed. This has become the new norm for much of the industry. A report by Proactive Investors earlier this week, however, suggests that Japan's long-idle mines may still have far richer deposits. Moreover, due to the prolonged dormancy of gold mining in Japan, there also appear to be many opportunities for new exploration, as well.